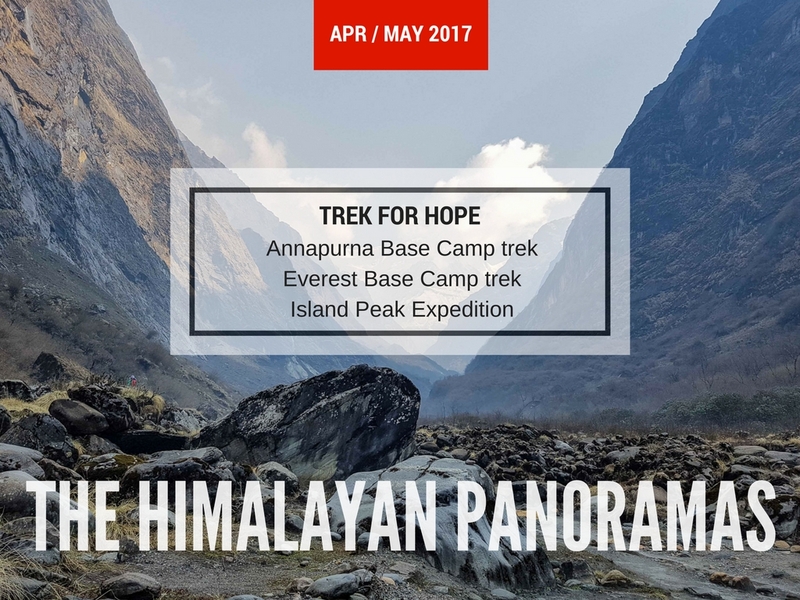 Trek For Hope organized a charity event in Nepal that ran from 6 April to 6 May 2017. A total of 50 participants from Singapore attended this event, which was held to raise funds for Nalang Village, the village development committee in Dhading District in the Bagmati Zone of Central Nepal. Simon Chan, founder of Trek For Hope, said the event was a personal milestone. “Each footstep we leave is a legacy,” he said. “The legacy of Trek For Hope is to provide the basic essentials that a village may not have. Through trekking and sharing the beauty of the trails, our goal is to bring awareness to the pressing needs of local populations.”The participants with this event provided dental and hygiene care, provided medical supplies, collected used clothes and toys, and raised funds before the event for needed items by selling merchandise. The charity event saw 22 participants attempt and complete a 110-kilometer journey to Annapurna Base Camp over 7 days. 28 participants attempted and completed the 130-kilometer journey to Everest Base Camp over 11 days. 3 participants scaled the summit of Island Peak at 6,189 meters. Participants said that the charity event was far from easy, but incredibly rewarding. Some described it as completing items off their bucket lists. Others said they did not know what to expect, but the experience was enriching. “When you see someone smile in gratefulness, no words are needed,” said Chan. Joy Chua (ABC) – The spectacularly scenic views and new life experiences definitely did not disappoint. Also, the realization that happiness can very simply be a hot shower and clean clothes! It then reminded me about a lesson in life, that if we always shine our attention on a narrow path, we might miss out a greater view of the beauty of what life has to offer. Perhaps taking this in perspective when we handle situations in life, the greater mountain we have to conquer is the one that lives in our minds. Saravan (EBC) – It wasn’t easy… but none gave up. The Adventure Village EBC Team 2017 successfully completed the goal. One off the checklist, and names proudly printed in the certificates. Charles Loh (EBC) – I’m over the top! Witnessing Mount Everest was a sight to behold. It’s extremely majestic and some sort in a zone between Mankind and Angels, almost impossible to reach but it’s there. Mala (EBC) – The hike over 13 days is a lifetime experience. The joy, the views, the pain, the heartache, the cold, the altitude, the pace, the breathing, the swollen ankle, the company and love of the hikers all adds up to enrich me and to humble me.EBC is harsh, tough & tiring. Each day each step each breath have brought tears to my eyes. I have cried more in this hike. It made me stronger. Even a sprained ankle did not stop me in my ascend & descend. I can rejoice … I have conquered myself … I have witnessed the mountains magic!!! Trek For Hope was established in 2013 to provide opportunities to families that are struggling to survive in their own communities. As adventurers, trekkers, and photographers, we often noticed that the intense beauty of a community attracted many visitors to villages throughout the world, yet the people in those villages did not have enough money to feed their children.